Ciao and welcome to Giuliano's Catering Service where we invite you to feast on our food! The passion and the art of cooking comes from the heart! Here at Giuliano's, we are all heart! 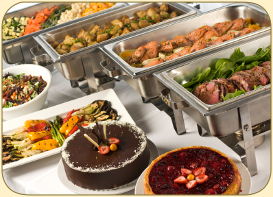 Since 1973, our off-premise, full-service catering company, continues to provide outstanding cuisine to the northern New Jersey area in both the residential and corporate markets. We recognize the importance of every event, no matter how large or small, and we go above and beyond to make it unforgettable for you. From the quality and quantity of our freshly prepared foods, to the beautiful presentation, to our superior level of service, we are devoted to surpassing your highest expectations! Whether you're planning the simplest family gathering or an elegant important milestone event, having a backyard barbecue, an executive meeting or the ultimate company gala, just give us a call. 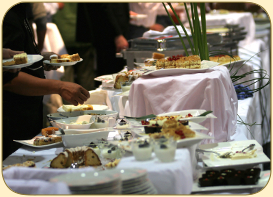 We do it all and can help make your dining experience one to be remembered. 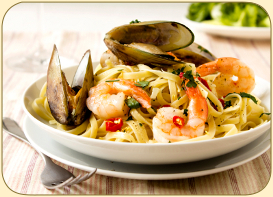 Sit back, relax and leave the cooking to us!